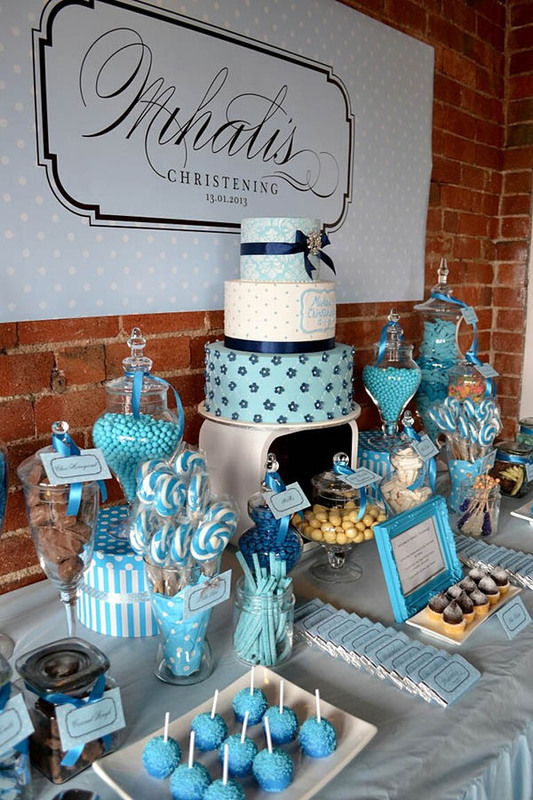 Baptism And Christening Parties We Love! 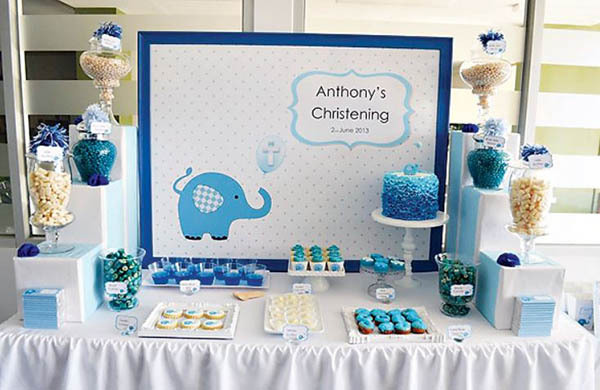 We have some more baptism and christening party ideas and today is all about the parties! 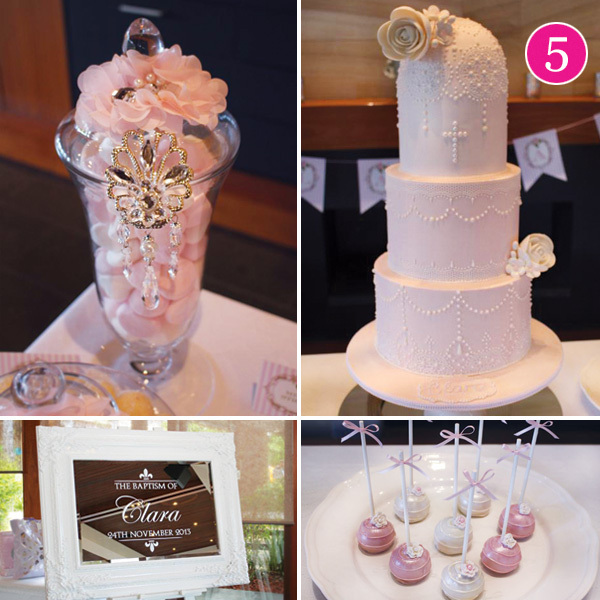 Baptism and Christening parties have some of the most lovely and delicate details. 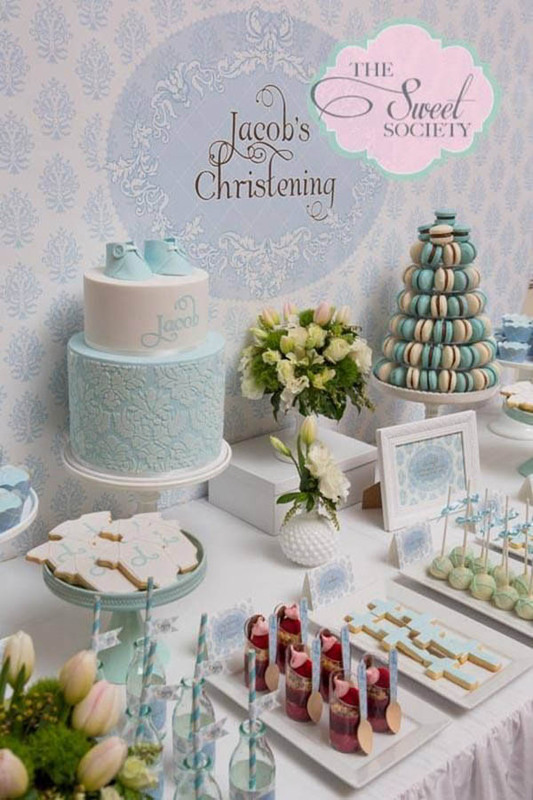 From the soft pastel color palettes to the lace, roses, bows and more, these cute little parties are perfect to celebrate your little ones big day with their faith. 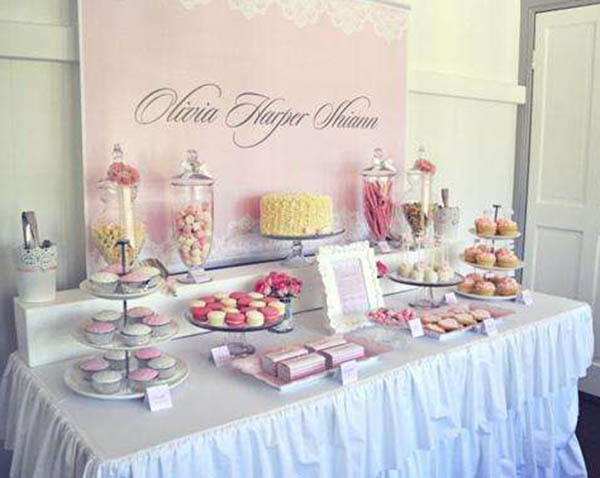 Of course these parties can be pretty modern too! 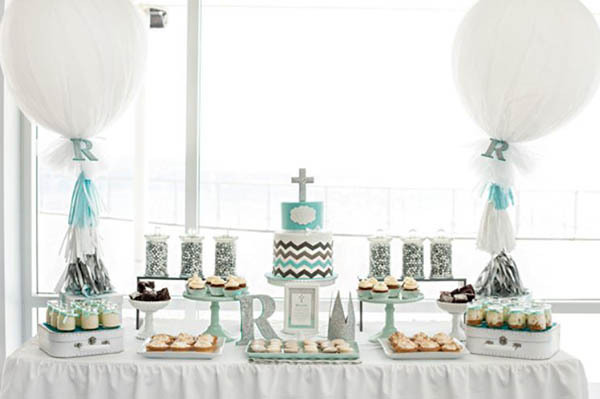 We have seen lovely chevron, elephant and nautical themed baptism and christening dessert tables too. 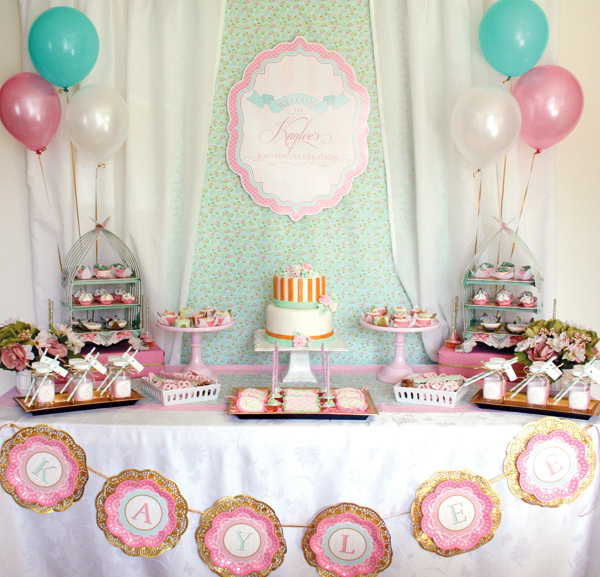 We had to round up these lovely party tables together because they one idea that works for one, totally works for the other one! 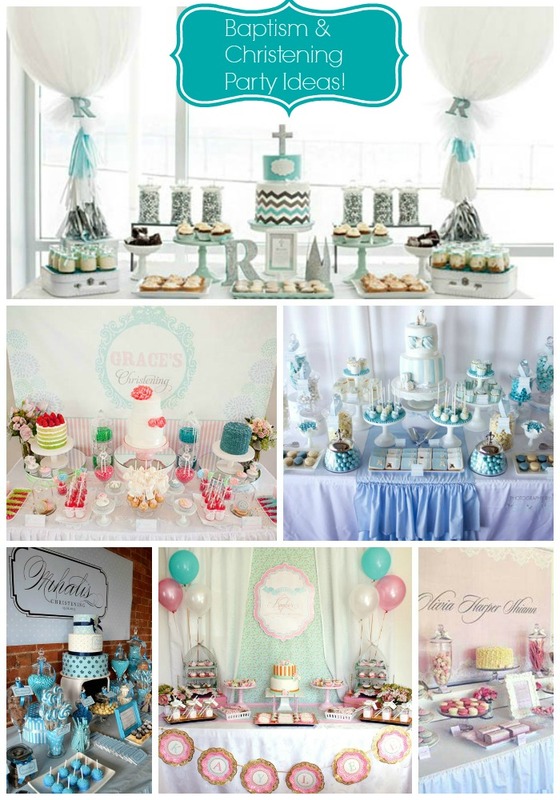 The drinks, the decor, the desserts, the treats, they all work for both! 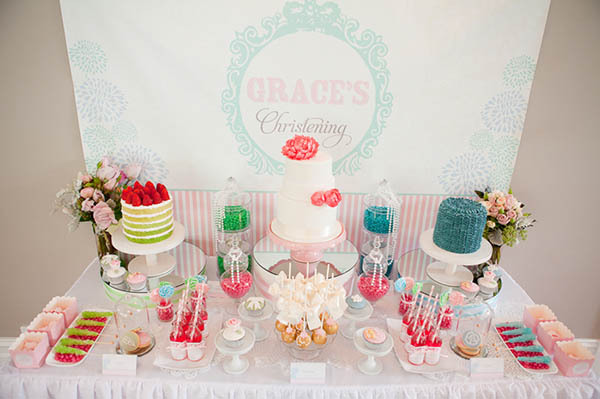 We can’t wait to show you these jaw dropping candy and dessert tables on these baptism and christening parties. Let’s get to it! 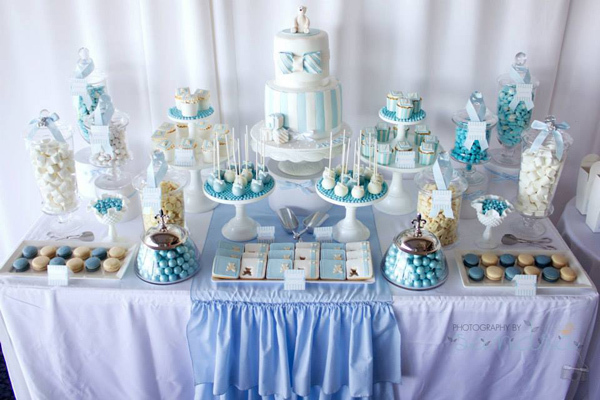 Baptism And Christening Cakes! 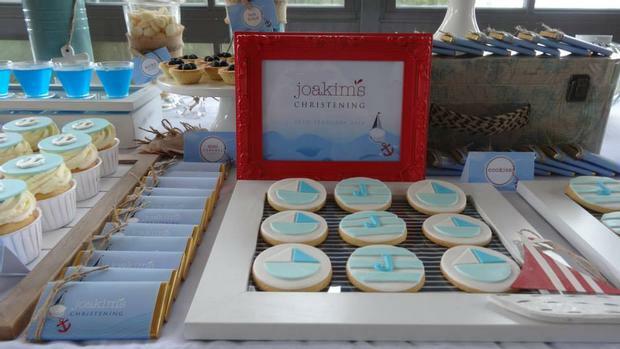 Gorgeous Cross Cookies! Olympic Parties! Boys Camping Parties We Adore!